You hit the button, and the garage door opens and closes! 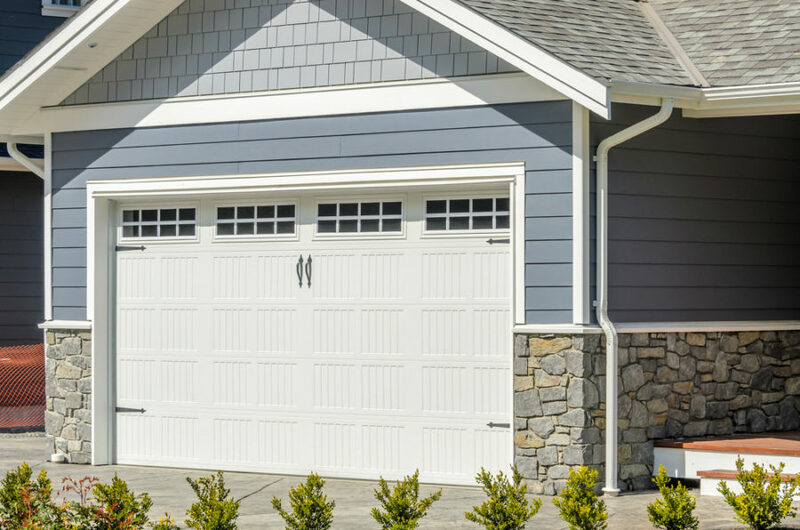 It's easy to not think about your garage door until something goes wrong. You might even dismiss a loud creaking or groaning noise as normal, but they are not. Don't ignore signs that your garage door needs maintenance. Avoid garage door breakdowns by calling an expert to perform a few inspections each year along with frequent lubrication of all of your garage door parts. 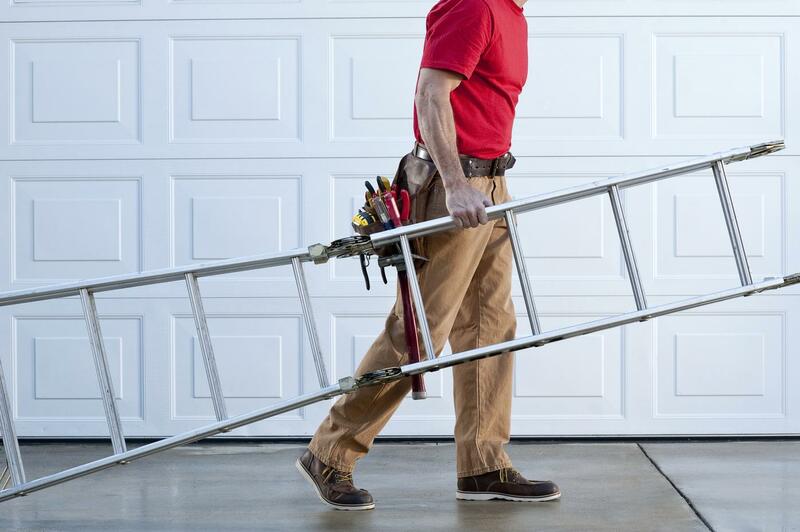 When your garage door seems to have difficulty opening, slams shut too fast, or won't open at all, you will need to temporarily disengage the emergency release and operate the garage door by hand until you can get it repaired. Depending on the type of spring, you use, you should be able to look above the garage door and see a cracked or cleanly split spring and know that it's time to call an expert. Don't risk the safety issues that can be associated with repairing garage door springs yourself. At the base of your garage door are two laser sensors that help prevent damage or injury to objects or pets and small children who may be in the path of the garage door when closing. These sensors should be lined up but can become misaligned causing the door to immediately reverse or to not operate at all. When this happens, the sensor boxes need to be adjusted to be in proper alignment again. When your remote stops opening the garage door, first check your batteries. While most remote batteries last for quite some time before needing to be replaced, they don't last forever. Replacing the batteries can be an easy step to do yourself, however sometimes, the remote may be broken and will need to be repaired or replaced. Sometimes, the garage door comes off of the track it operates on. Maybe someone slammed it down too hard or maybe the sensors stopped working and it hit an object on the ground or was hit by an object-throwing it off the track. You may need a new track which will require maintenance to the track and the door will need to be reattached to the rail which will require the assistance of someone who knows what they are doing and has the proper equipment to help. The easiest way to avoid unnecessary garage door repairs is to have it maintained quarterly. Why spend time and take a chance on doing the maintenance yourself when you can call a trained repairman to make sure your maintenance is done properly. Have a certified technician come out to inspect and lubricate the garage door parts. This small service charge could save you a bundle on future larger repairs. Call www.Locksmith-denver.info today for all of your garage door common repairs and maintenance. Denver Experts handles and installs all major garage door brands. In the years we've been servicing overhead garage doors and operators for homeowners and businesses in the Denver, Colorado area, there isn't a single manufacturer or brand of garage door that we have not been able to install or repair to our customer's satisfaction. We install and service every quality brand and manufacturer of garage doors and openers that are available on the market and are known to recommend the best garage door brands for your individual needs and taste. Each material has its own benefits and drawbacks. Wood is classic because of its natural beauty, is readily available and easy to customize. However, it doesn't last as long as other materials and requires constant maintenance. Steel is very popular because of its strength and durability and is relatively inexpensive with low maintenance and can even be made to look like wood. Other materials have their own strong points, and there are even hurricane-proof garage doors and screen doors for garages. Different styles of doors include roll-up wood garage doors that have sections that roll-up. They may have either flush or a panel construction. Flush sections are made by fastening a plywood panel over a wooden frame. Panel doors fit several separate rectangular panels into a wooden frame. Panels may be flat or three dimensional. Tilt-up wood garage doors are easiest to build and the most affordable. The flush construction of a tilt-up wood garage door is strong and affordable. Most fiberglass doors actually consist of an aluminum frame. Aluminum and fiberglass are both very lightweight. Fiberglass is also translucent and resistant to salt water air near beaches or water. However, it is not the best insulation, yellows with age and breaks fairly easily especially when it is exposed to cold weather. The quality of steel comes in thickness and cladding. The best steel doors will often be 2 inches thick and filled with insulation, clad in 24-gauge steel. You can save some money by going with a less-expensive door with 28-gauge steel. The lower the gauge number, the thicker the steel. Steel doors come in single or double skin which combines foam insulation between panels on both the outside and inside of the door. Weather-stripping is another indicator of quality. The best steel doors have a full-width vinyl bubble garage door weather stripping along the bottom edge and rigid vinyl weather-stripping along the sides of the panels. When it comes to garage doors, there are many styles and qualifies to consider. The prices range from a few hundred dollars up into the thousands. When you consider the cost, realize that a quality and attractive garage door instantly adds resale value to your home as it boosts curb appeal. Some options include the type of springs and the style of openers. Set your house apart from all the others on your street with the best garage door brand available. Installing the wrong garage door on your home can quickly cause your investment to go down the drain due to lack of curb appeal. Don't let this happen to you! There are many factors that go into finding the perfect garage door for your home. Some of these factors you may not even consider at first. Our experts are able to work with you to recommend the best garage door brands for you. It is important that the door you purchase has a good enough seal on it to be able to protect your car and valuables inside. If you've ever asked the question, “what are the best garage door brands available?” our knowledgeable garage door experts are able to answer your question. Choosing the best garage door brand also leaves a trail of happily satisfied customers who are glad they called the experts at Denver Experts to help with their garage door brand decision. Carriage House – Some carriage house garage door manufacturers include Amarr, C.H.I, Clopay, and Delden Garage Doors. Holmes - Residential and commercial garage doors, traditional raised panel and carriage house style door. Martin - custom made garage doors for residential and commercial. Service In 30 Minutes Or Less! 100 Day Warranty For Parts & Labor! © 2009 – 2018 Denver Experts Locksmith. All rights reserved. Professional Mobile Locksmith In Denver Metropolitan Area | Call Now (303) 749-0505. PLEASE FILL OUR SHORT FORM AND ONE OF OUR FRIENDLY TEAM MEMBERS WILL CONTACT YOU BACK SOON.